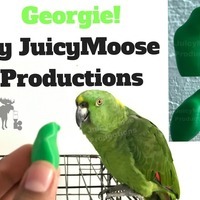 Summary Georgie is the pet bird of the my YouTube channel, JuicyMoose Productions! This was a 3D scanned, and edited using meshmixer. 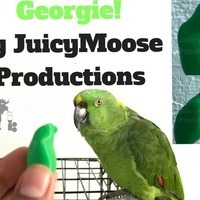 Scanning a moving object like my bird, Georgie, is an extremely difficult task! So I had no choice but to create some of him organically through meshmixer, as well as adding some of the lost detail. The green one in the pictures above are the non detailed version, the blue one is the detailed version. I did close ups on the blue one to show the difference. I have repaired the file the best I possibly could, but please keep in mind it is recommended to use file repairing just in case. I've printed little Georgies and all came out perfectly, but if you plan on making a big one, please take the time to make sure everything is all in check :) I have published a non watermarked version of the file on pinshape, here's the link . All funds go toward the channel! PLEASE POST YOUR MAKES! I will show some of the results to Georgie him self. 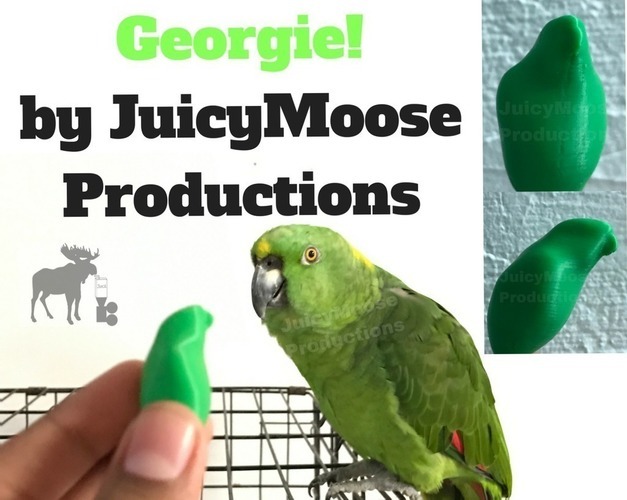 I included some pictures of what Georgie looks like if you plan on painting him in, or have a dual extruder. Thank you so much! Stay Juicy! Print Settings Printer: MP Select Mini Resolution: 0.1 or lower for best quality Infill: None required! Bigger versions may need it though.